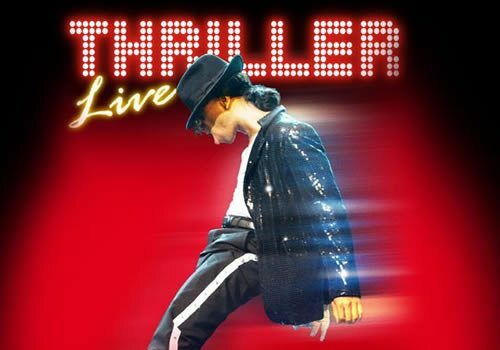 Thriller Live is the smash-hit musical that celebrates pop legend Michael Jackson and his famous music and dance moves. Beginning with his early years as part of the Jackson 5, Thriller Live follows Jackson through every stage of his career, as he slowly makes his transformation into the King of Pop. 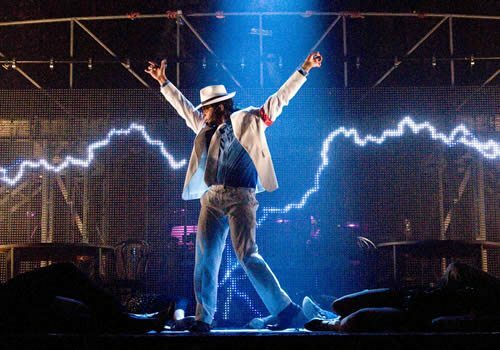 Created by producer Adrian Grant, Thriller Live first opened in the West End in 2008 and only became a hit in June 2009, when Jackson passed away. A tribute to Jackson, Thriller Live entertains audiences night after night with endless hits from the Pop King's back catalogue. Featuring four different male and female lead vocalists, who are accompanied by thrilling dancers, Thriller Live showcases numbers such as "ABC", "Don't Stop 'til You Get Enought", "Beat It", "Smooth Criminal" and, of course, "Thriller". A barrage of crowd-pleasers, you can be sure that this musical will entertain even the most die-hard Jackson fans. Not only does the musical focus on Jackson's legendary music legacy, Thriller Live makes sure that his best dance moves are packed in with every song, performed by an energetic ensemble, alongside the iconic outfits worn by the King of Pop in his music videos. Famous outfits such as the military jacket and white gloves are recreated, plus many more that are instantly recognisable! Thriller Live is more of a tribute concert than a musical, as there is a lack of storyline. Instead, it follows a chronological timeline of Michael Jackson's best music. This is the perfect show for die-hard Jackson fans, who still want to remember him in all his glory. Thriller Live is very family friendly and is recommended for ages 5 and above. Please note that children under the age of 4 will not be admitted into the theatre.